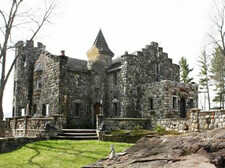 Damn'it, that "castle" was for rent on AirBNB for $995 per night, I had it in my wishlist for the longest time. Gone. Would have made for a good third mid-life crisis party.